If diesel prices increase, will it kill demand for diesel cars? Diesel cars are no longer going to be that cheap to run. The government has proposed bringing in fuel price parity by steadily increasing the price of diesel all through 2013 at an average of Rs. 1 per month, with a total Rs. 10 price increase by the end of the year. How does this affect your buying decision? Is it still viable to buy a diesel car? We take a look at how this changes the economics of driving a diesel car if the price of the fuel increases up to Rs. 58 a litre from the present Rs. 48 a litre (New Delhi prices approx). Even though diesel fuel price will increase, it does not take away from the fact that a diesel car is at least 25% more fuel efficient than a petrol car, but it will increase the number of kilometres you have to drive or the number of months to reach breakeven – because diesel cars are also more expensive than equivalent petrol cars. Also read: Is diesel still the most attractive fuel? To illustrate this point, consider the following calculation based on the Maruti Swift ZXI (petrol) vs the Maruti Swift ZDI (diesel). The prices taken are ex-showroom for calculation purposes only, but on-road prices would be far higher and hence the number of months shown as breakeven will also be higher. Also if you buy your car on EMI, you begin to save more from day one, because the money saved on fuel cost can go toward paying part of your EMI – and if the savings is over Rs. 2,000, you can afford the additional Rs. 1 lakh (on a 5 year loan) for a diesel car. Also read: Diesel or petrol – which fuel is more environment friendly? 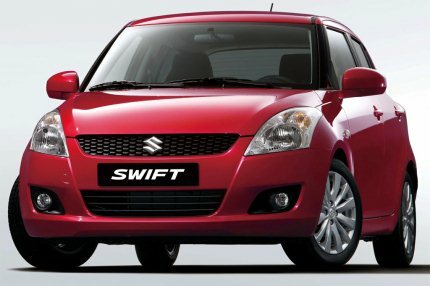 Now the price difference between a Maruti Swift petrol and Maruti Swift diesel is about Rs. 1.11 lakh ex-showroom for the top-end variants. Does it really make sense to pay that premium for a diesel car? The logic that you have to drive a greater distance to achieve breakeven faster still applies. At present prices, if you drive a diesel Swift for at least 2000 km a month, which is on the higher side, you will recover the additional investment for the diesel car in as little as 2 years or 25 months’ time. However, if you drive only say 500 km a month a diesel car is just not viable, as you will need to keep the car for at least 8 years to even justify investing in a diesel car. Also read: Why diesel cars give more mileage than petrol cars? Now let’s say in another six month’s time prices of diesel go up by Rs. 5 a litre to Rs. 53 per litre. The breakeven point of your car then gets pushed by a few months. At 2000 km a month, you will still achieve breakeven in 2 years and 4 months, which won’t pinch. But for lower running, it will begin to get unviable. At 1000 km a month it will take nearly 5 years to breakeven! If diesel prices go up to Rs. 58 a litre by the end of the year, the economics begin to border on the ridiculous for those who don’t drive much. Such buyers are better off with a petrol car. If you drive under 500 km a month – it will take you 11 years and six months to justify that additional investment in your car! However, at over 2000 km a month, you still make up your investment in a diesel car in just under three years. When is diesel not viable? By the end of this year too, the market would see diesel car demand drop slightly in favour of petrol – just do the math before you buy your next car! « What are the causes of frequent punctures?